The Forest Grove Concours d’Elegance is the most prestigious concours event in the Pacific Northwest. Held on the campus of Pacific University, it is a wonderful event in a beautiful setting. Cars are parked according to category on the lawns surrounding the historic university buildings. Staged by the Rotary Club of Forest Grove, the event provides funds used to sponsor scholarships and community service projects. Classes include a wide range of over 300 cars, including antique classics, American cars from the ‘50’s and ‘60’s, hot rods, European sports cars, Porsche and Mercedes cars, and of course BMW’s. A new corral this year includes Modern Supercars. This year, Oregon Chapter member Keith Martin is the Presenter and MC. This is the 4th year that our chapter has participated in the Concours. Our purpose is to show spectators the innovative engineering and performance history of BMW’s, along with the beauty and style that makes BMW’s unique. We will have both judged and display corrals again this year. Members, if you wish to enter your car, please send a message to Brian Cone at briancone3@gmail.com. With your car on display, you will stand “behind the ropes”, answering questions and receiving admiring comments from the thousands of people who come to this great event. 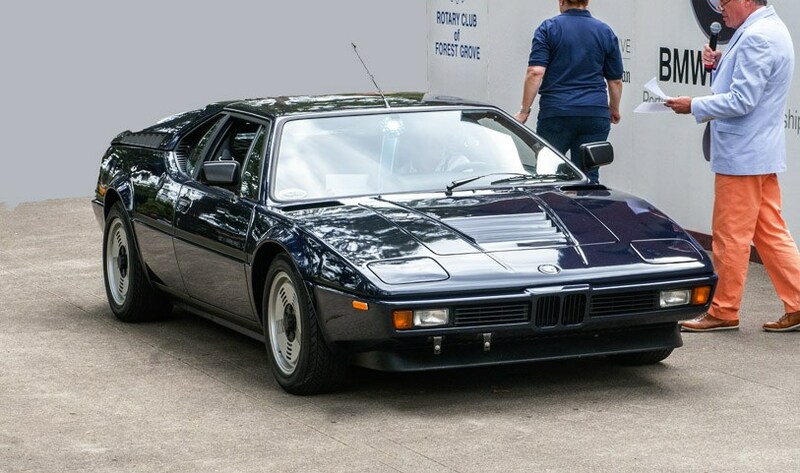 If you want to come as a spectator, arrive after 8:30 AM, enjoy all of the cars, and give support to your fellow members who have their BMW’s on display. Check out the event website: http://forestgroveconcours.org/ Looking forward to seeing you on July 16th!